The tech giant Apple came to the conclusion that a very small number of iPhones 6S turn off in a very “unexpected” way, and this problem is related to the battery of the device. Hence, the tech giant Apple decided to replace all the faulty batteries for free in iPhone 6s devices. Apple came to the conclusion that a very small number of iPhones 6S turn off in a very “unexpected” way, and this problem is related to the battery of the device. This is not exactly a widespread problem and, according to the company, only affects devices that were manufactured between September and October 2015. 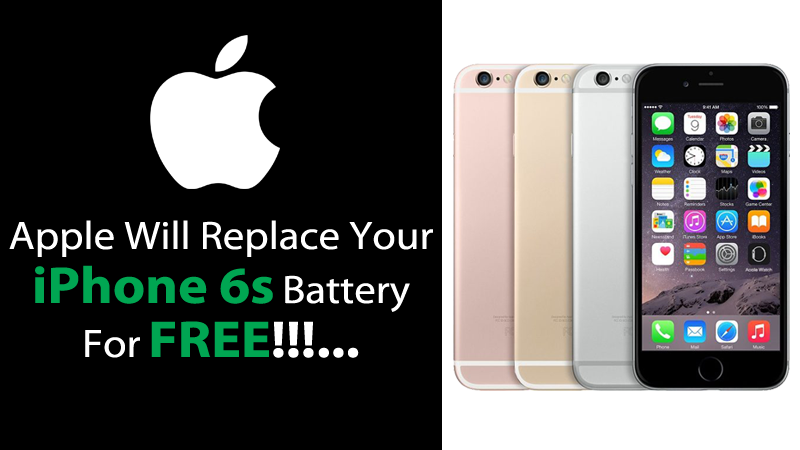 If you have an iPhone 6S and have this problem, then look for an official service center for battery replacement. As it has happened in the past to other devices and components, Apple has now launched a battery replacement program for those who have an iPhone 6S. This change should be carried out in an official service centre, and the amount to be paid is made by Apple itself. 2) Make sure to have a backup of your device. 3) Turn off the Find My iPhone. 4) Remove all device information: Settings > General > Reset > Erase All Content and Settings. Apple also warns that if your iPhone 6s already have damage such as a broken screen, which can be a deterrent for battery replacement, these will have to be resolved before sending the iPhone for battery replacement. Also, if there is a fault that needs to be noticed, the official repair shop may charge the repair service. Another important information is that Apple may restrict replacement of the batteries to the country where the iPhone 6S was purchased. But, what if I had already replaced the battery and paid? Apple, in the case of users who have already paid for replacement requests a contact in order to be able to repay the amount paid. This collection to replace the batteries does not extend the warranty of the device.